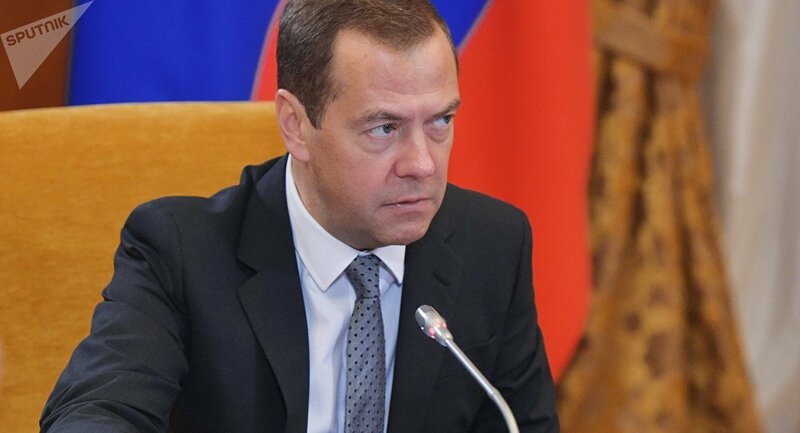 Earlier, Russian Prime Minister Dmitry Medvedev said that the US introduces sanctions in order to suppress global competition, but will end up hurting its own economy. The Russian government can financially support large individual companies if they are slapped with new US sanctions, Russian Prime Minister Dmitry Medvedev told reporters. "I have repeatedly commented on the sanctions against our country, I have absolutely nothing to add here, we have adapted to various kinds of restrictions," Medvedev said, speaking of possible new sanctions from the United States. He noted that such restrictions "even give us a certain scope for improving our economy, to create some new economic mechanisms." "So, nothing critical will happen, I'm sure. But this is unpleasant, and it will certainly force us to make certain decisions if need arises, including the decisions on supporting certain companies, big companies if they fall under such kind of sanctions. But we will certainly be able to stand up to it. It's just a pity that we have to expand our energy in doing it," Medvedev said. State Department Spokesperson Heather Nauert told Sputnik on Tuesday that Washington would proceed with imposing additional sanctions against Russia over alleged attack on former Russian spy Sergei Skripal. Moscow has strongly refuted the allegations of its involvement in Skripal's poisoning. Dmitry Medvedev expressed confidence on Wednesday that trade between Russia and China would reach $100 billion this year, and could double in the future. "The results are good, indeed, our trade is growing and, in all likelihood, we will hit the $100 billion level for the first time in the history of Russian-Chinese relations," Medvedev said at a meeting with Premier of the Chinese State Council Li Keqiang. He added that this figure was not the final one. "This is clearly not the result that we should today focus on as a final one. We are able to significantly increase trade, and such a goal has been set. We can talk about numbers that at least lead to doubling trade," Medvedev said. Li, in turn, drew attention to the high level of cooperation between the two countries and the great potential for its buildup. Medvedev noted that during the meeting co-chairs of intergovernmental commissions would report in details about what had been done within this year. Russia and China share the same approaches to international trade, as they believe that its principles should not be confined to the interests of separate states, Dmitry Medvedev said on Wednesday following the 23rd regular meeting of the heads of the Russian and Chinese governments, held in Beijing. Medvedev said that he and Premier of the Chinese State Council Li Keqiang had exchanged opinions on a range of issues during their talks, namely, on the current state of international trade, on the maintenance of the current World Trade Organization rules and on its reforming. They have discussed, among other things, the inadmissibility of breaching these rules by introducing unmotivated trade barriers and sanctions. "We share the same approaches here. We believe that everything that has been done in this sphere should promote global trade and global exchange of investment instead of being confined to separate states or regions, as this hinders development in general," Medvedev said. Relations between Beijing and Moscow have been steadily developing. In late October, Chinese Commerce Ministry Spokesman Gao Feng said that in the first three quarters of this year, Russia-China trade reached $77.15 billion, up 25.7 percent compared to the same period last year.